It wasn’t too long ago, that I was introduced to French Toast. Yes, at the age of thirty-something, I had my first taste of one of the most popular desserts that I’ve seen prepared on Chopped. (Seriously, aren’t there a lot of variations of French Toast in the dessert round?) 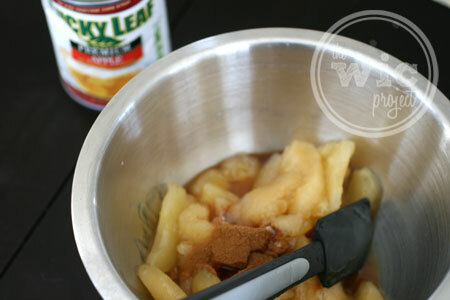 Gil taught me how to make this delectable treat, and today, I’m taking it up a notch with this tasty recipe for French Toast Apple Cobbler using my fave-or-ite pie filling brand – Lucky Leaf. 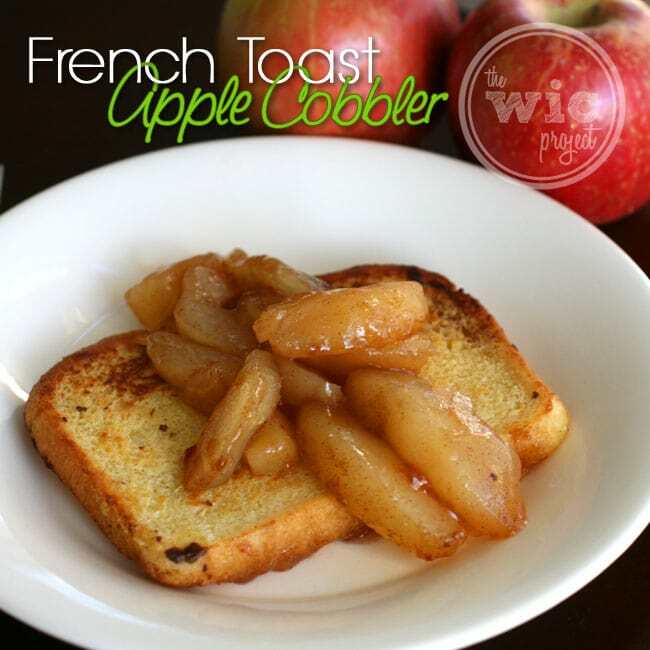 French Toast Apple Cobbler – So good, you won’t care if it’s breakfast or dessert. 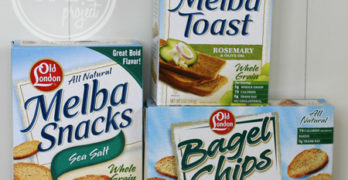 A fun twist on a popular breakfast treat. In a medium bowl, combine pie filling, raisins, lemon juice, 1 teaspoon of the vanilla, ½ teaspoon of the cinnamon and the salt. Spread mixture evenly in the bottom of a 3-quart rectangular baking dish. In a shallow dish whisk together eggs, milk, sugar, remaining ½ teaspoon of vanilla and remaining ¼ teaspoon of cinnamon. In a very large skillet, melt butter over medium heat. Add bread slices, half at a time, to hot skillet. Cook for 3 to 5 minutes or until bread is lightly browned, turning once to brown both sides. Arrange bread slices in a single layer atop apple mixture in dish. Bake, uncovered, for 20 to 25 minutes or until heated through. 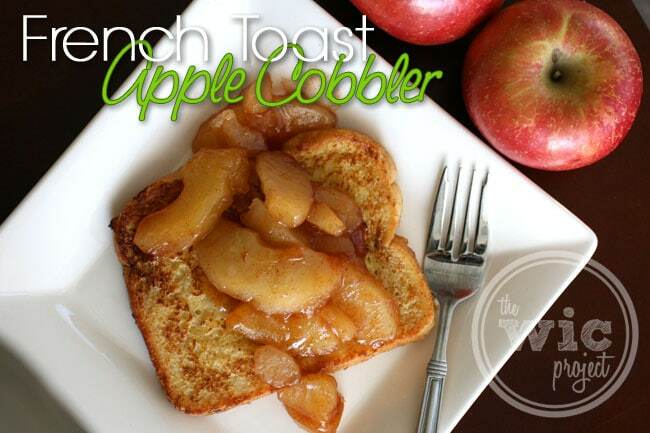 Serve bread slices on serving plates and top with apple mixture. I did make a few tweaks for our recipe. First – I ditched the raisins/dried cranberries. I’m sure they totally add to this dish, but I haven’t eaten raisins for years. YEARS. And I’m not about to start. Dried cranberries are OK, but when it comes to this pie filling, I don’t want anything else to blur the flavors. Lucky Leaf Apple Pie Filling tastes good out of the can, but we’re amping it up here with more cinnamon, vanilla, and lemon juice. Also, when we went to the store, they didn’t have any brioche or challah bread. The folks in the bakery department hadn’t even heard of those types of breads. So instead, we picked up a nice loaf of buttermilk bread that did the trick beautifully. It’s not as thick as the other breads so I wondered if it would affect the baking time. It didn’t (at least not that I could tell). I checked at 15 minutes and the apple filling wasn’t quite bubbling and at 20 minutes, it was perfect. 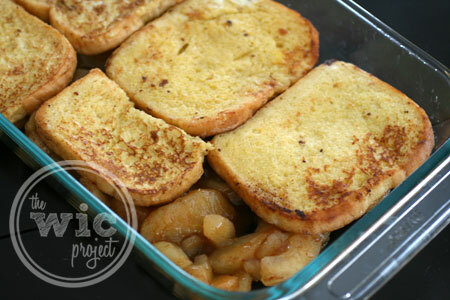 Top the apple mixture with the french toast. You can see from the picture that these slices of bread were slightly too large to fit all 6 in the pan, so I broke them in half. Those will make great half-size/kid-size servings. The apples come out warm and flavorful. The bread is crispy with a hint of sweetness. I would eat this French Toast Apple Cobbler for breakfast (or dessert) any day of the week. I like that it isn’t too sweet, but you could always dollop it with some whip cream or even serve it a la mode to make it more dessert-like. 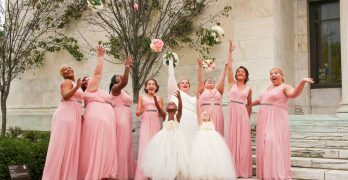 Pin & Win for a Chance at $500 & More! Think this looks tasty? Pin this recipe and you could win in the Lucky Leaf “Good Things Come to Those Who Pin” Pinterest contest. To enter, create a board named “Good Things. Spring.” and pin the contest entry image (below) to your board. Then pin 3 more Lucky Leaf recipes from LuckyLeaf.com and at least 3 other spring baking images to the board. Make sure you tag each image with #luckyleafluckyme and that you follow Lucky Leaf on Pinterest. Then, head over to the Lucky Leaf Promotions page and submit your board to complete your entry! The grand prize is $500 with two $200 runner-up prizes. Ten finalists will also win a Lucky Leaf gift pack – that’s 13 prizes up for grabs! Wow, this looks delicious! I think I am going to try making that for when my kids come back home for a visit. YUM! I’m not usually one for whole warm apples or rasins, but this looks so delicious! If this is breakfast I will be dreaming about it all night.Can’t wait to serve this up.Thanks for sharing.